Gîte accommodation at The Courtyard consists of three very different beautifully restored houses…..
La Maison Cachée is a traditional comfortable cottage tucked away attached to the main house and sleeps up to 4 and a baby in a family suite. Chez Coco is as it’s name suggests is a stylish and quirky 84 square metre gite, on the South side of the Courtyard it looks over open country and sleeps up to four and a baby with 2 bedrooms and 2 en suite bathrooms. 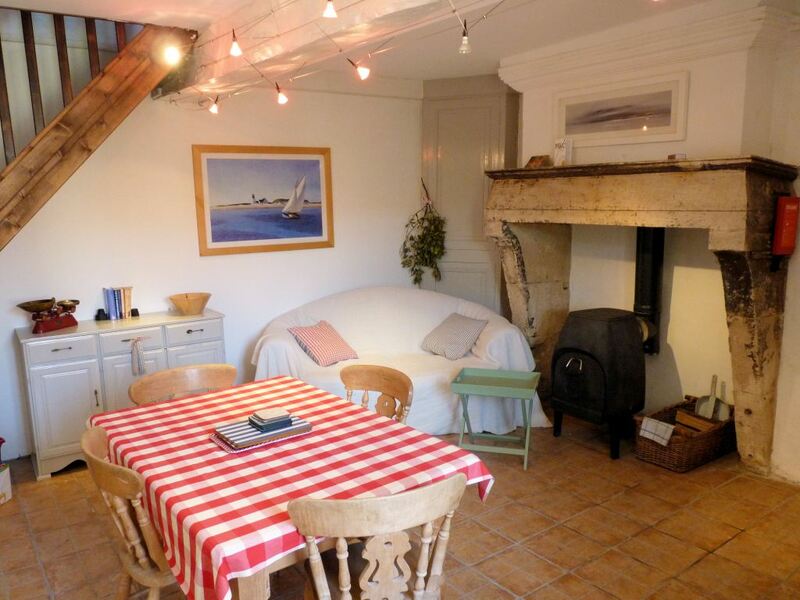 Chez Aristide is a mix of shabby chic and contemporary with a super funky kitchen and bags of space it sleeps 4 adults and 3 children and a baby in 3 bedrooms and has two bathrooms. In high season (July and August) bookings are a minimum of a week and changeover day is Saturday outside of high season we are flexible and length of stay and the minimum booking is 3 nights. Prices include all linens, bath towels, pool peshtemels, welcome drinks, end of stay cleaning and concierge service. Breakfast Baskets delivered to your gite can be booked at 10 Euros per person.